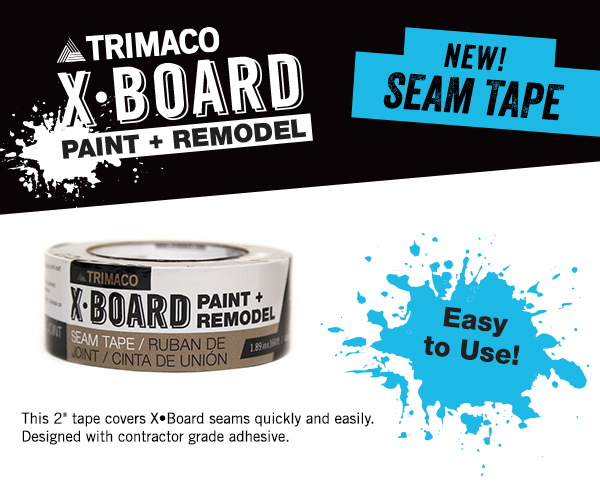 Introducing the brand new X-Board Paint + Remodel Seam Tape. This heavy duty surface protector seam tape works great for seaming X•Board together on the job. It’s around 2″ wide, and will last for the duration of the job. Contractor strength adhesive and easy to use! Keep in mind, the tape is too strong to apply directly to floors. Learn more here.